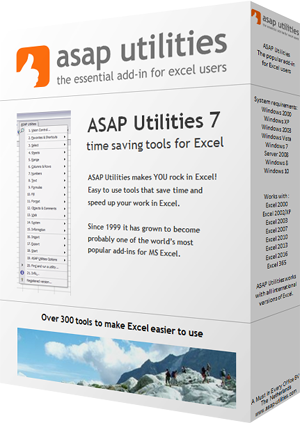 This tool can be used to correct the reference in your workbook to the ASAP Utilities worksheet functions. This can be useful if your workbook is used on another computer where ASAP Utilities is installed in a different folder. For example the default installation folder of ASAP Utilities differs between a 32-bit and 64-bit Windows version.